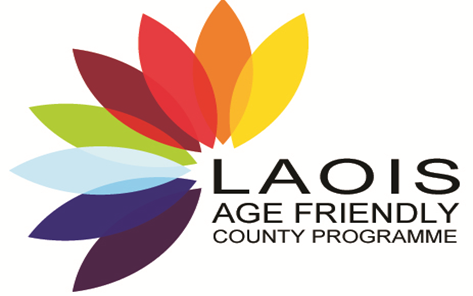 The Laois Age Friendly Strategy was launched in 2016 following consultation with older people in the County. The strategy outlines 64 actions under 8 categories, aligning to the WHO themes. Annual action plans direct the work of the Age Friendly Alliance and Older Peoples Council to fulfil those actions. To date the programme in Laois have implemented Age Friendly parking, Message in a Bottle, a Business Recognition Scheme, a Communications Guide for businesses, Walkability Studies, a publication outlining Information to Services for Older People in County Laois, an annual information event for over 55s and an annual Tea Dance which provides a mechanism for consultation with the wider Older Peoples Council. The focus for the remaining 3 years of the current Strategy is to extend initiatives currently in place and roll out new initiatives based on the strategy actions. Initiatives currently in place, particularily the Age Friendly parking, the Business Recognition scheme and disseminating the information guide to services for older people will be developed further to embed them fully into communities across the County. New initiatives for 2019 include Age Friendly Libraries, guidelines for the planning of outdoor spaces, parks and buildings with Age Friendly principles and a number of intergenerational projects in the county. A Key focus for 2019 and beyond is communicating to all older people and those coming of age are fully aware of the programme and initiatives available. This is a challenge in the Laois administrative area which is primarily rural in nature but has been recognised as a key to the success of the programme.